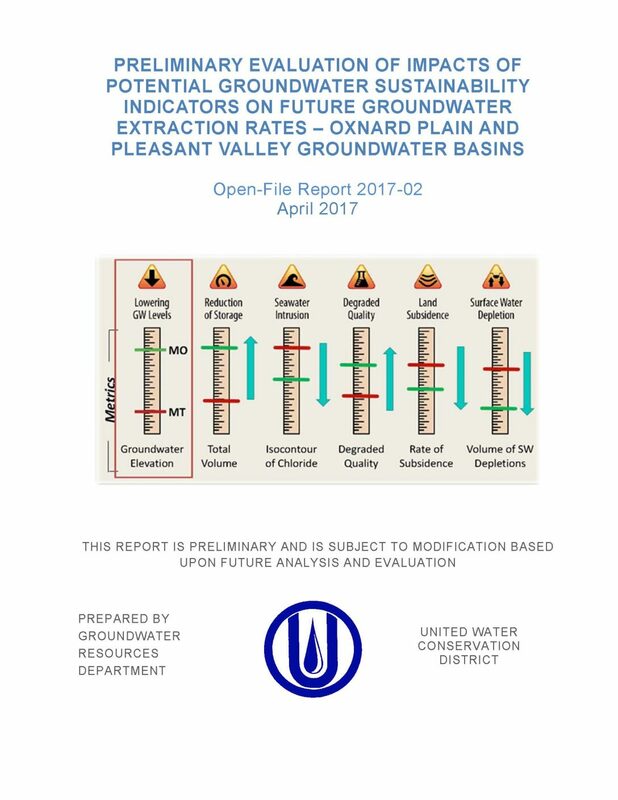 This evaluation was performed to estimate the combined sustainable yield of the Oxnard Plain (including the Forebay) and Pleasant Valley groundwater basins (the study area). 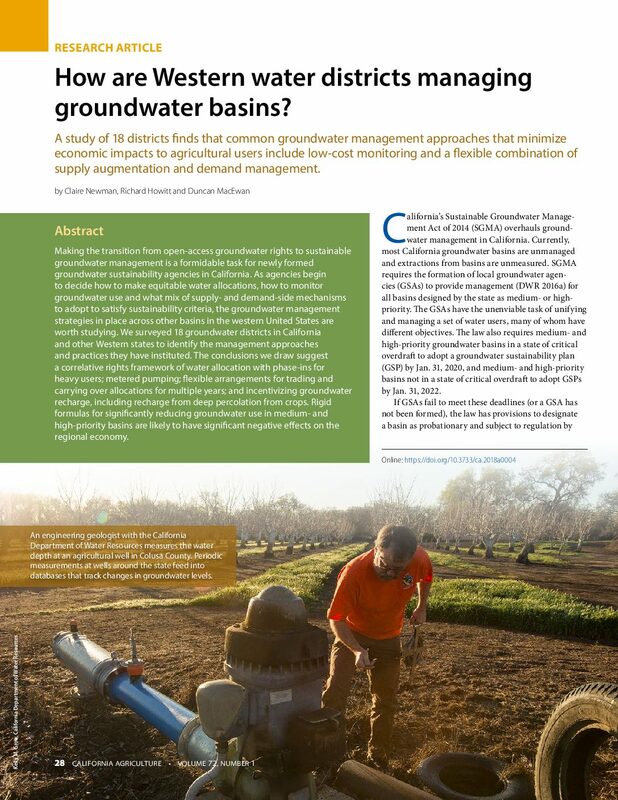 The purpose is to provide supporting information to United Water Conservation District’s (United) management and Board of Directors in establishing groundwater management policies that are consistent with the mission of the agency. United recognizes that the compliance actions associated with the Sustainable Groundwater Management Act (SGMA), the formation of a Groundwater Sustainability Agency (GSA), and the creation and implementation of Groundwater Sustainability Plans (GSPs) have the potential to change how groundwater resources are managed in Ventura County. This report was prepared for the benefit of United’s Board of Directors and senior management, and is not intended to serve as a GSP, define how the sustainable yield should be determined by the GSA, or specify what value or range of values should be used as the sustainable yield. The analyses and results are meant to be used as a starting point in evaluating potential impacts to United’s operations as a result of sustainability planning already underway by the Fox Canyon Groundwater Management Agency (FCGMA) for the study area.